Even a casual reader of AdWeek or Advertising Age knows that the road to influencer marketing is littered with potholes, cautionary tales, and the detritus of well-intentioned but poorly planned campaigns. (Pepsi and Kendall Jenner, anyone? What about PewDiePie? Bueller?) And while it’s impossible to prevent every single mishap—after all, there’s an inherent risk in letting a stranger represent your brand—there are ways to minimize the risk and increase your chances of executing a winning campaign. These are what we call the rules of the road, and it’s best for everyone involved if you learn them before getting behind the wheel. Do: Decide on goals before you fall in love with an Instagram feed. It’s easy to get attached to someone you think could be the perfect influencer for your campaign. Before you know it, your mind is racing with visions of aforementioned influencer creating beautiful content for your brand and lavishing social media praise on your product. But in order to achieve real, strategic results that can be measured and translated into learnings for future campaigns, you have to set real, strategic goals first. Do: Get forensic when it comes to examining a potential influencer’s content. Once you find an influencer that you think could be a good fit for your campaign, it can be difficult to view him or her objectively. After all, we’re humans, which means we don’t like to question our initial assumptions. But it’s important to turn a critical eye on an influencer’s content during the vetting process. As you’re reviewing social content, keep an eye on engagement—does it fall off significantly when a post is obviously sponsored? Think about the kind of post you want the influencer to create; are there similar posts currently in his/her feed? How do those perform? Do: Legitimize the relationship with an official contract. Like pretty much all relationships, influencer partnerships function best when each partner fully understands his or her role and responsibilities, and is willing to be held accountable. That’s where a solid contract comes in. Your influencer contract should clearly lay out your expectations for the influencer and his/her specific deliverables, plus timing; it should cover payment terms, any usage rights you’ve negotiated, and details around what happens if either party doesn’t hold up their end of the bargain. It can be tempting to create casual relationships with influencers—and many smaller brands take this approach, at their peril—but we recommend treating an influencer like a third-party vendor and following the same procedures that apply in that case. Don’t: Expect an influencer to change their voice or content style to mimic the brand. You found the perfect influencer. The content looks great, engagement is through the roof, and he/she is already a big fan of your brand. Now, the only other thing to do is make him/her adopt your brand voice and image guidelines, incorporate specific brand verbiage, and show the product a dozen times so that the content looks exactly like something your marketing department would have created. Right? Not so fast, buddy. It’s hard to relinquish your brand—we get it, we really do. But remember why you liked this influencer in the first place: the content looks great, engagement is through the roof… you see where we’re going with this. At the end of the day, legitimate content creators know what resonates with their audience, and they know what their followers like to see in the feed. They’ve also worked to develop their own brand voice and look, which means you’ll get better results if your brand seamlessly integrates into theirs versus the other way around. Don’t: Get hung up on big numbers. You’ve probably heard a lot of chatter around micro-influencers, and for good reason: These lower-profile content creators are especially powerful when it comes to driving conversions. We characterize micro-influencers as having a following between 30K and 100K, with an average engagement rate of at least 2%. While it can be tempting to go all in on a celebrity spokesperson or chase after a YouTube star with millions of followers, keep in mind that engagement rates tend to plateau once the audience reaches a certain size. Micro-influencers are able to leverage their standing as “real people” and the trust they’ve established among their followers to drive conversions at a much higher rate. Don’t: Miss the opportunity to learn something—good or bad—about your audience. 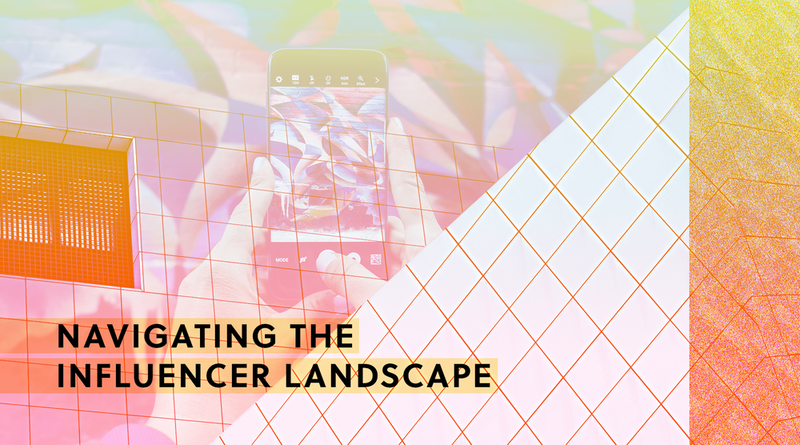 When the dust settles after your influencer campaign, take a moment to analyze the results and document any learnings that can inform future campaigns. Maybe you discovered that your audience doesn’t care as much about the brand’s back story as they do about new recipes or helpful tips from experts. Perhaps you learned that consumers don’t really want advice so much as inspirational imagery, or that they want to hear about your brand on Instagram, but not so much on Twitter. It’s crucial to distill insights from the campaign into some key takeaways—things to replicate, things to avoid, and maybe some areas to experiment—before you get back in the driver’s seat. If you enjoyed this post about influencer marketing, check out our first post in the series.